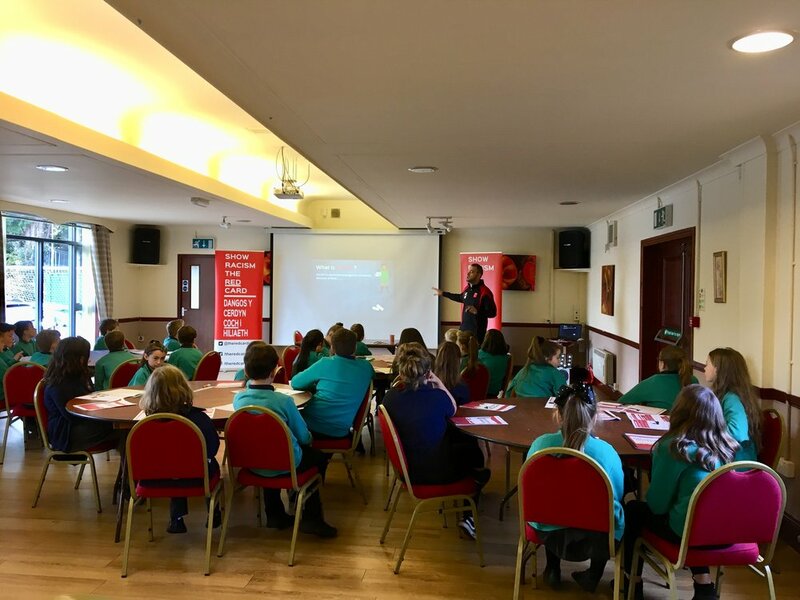 We visited Welsh Premier League side Newtown AFC for our third Educational club event of the 2018-19 season. Young people from Hafren Primary School attended Latham Park to take part in our educational club event for the day. Newtown AFC player Neil Mitchell attended the event to take part in the press conference. Prize winner Eve won a signed ball, along with a SRtRC goodie bag for asking the best question.